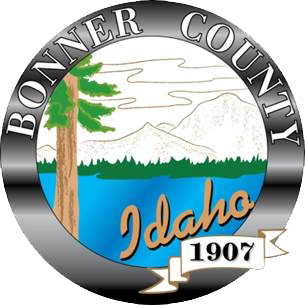 Bonner County was established in 1907 and is one of 44 counties in the state. About 42,000 people live within our borders. The population has been growing steadily and has averaged seven to eight percent growth per year in the past five years. Many of the people who relocate here are seeking a better quality of life and easier access to the recreational opportunities our area offers. Business owners, in particular, find it favorable to relocate or start up here because of the availability of commercial land, relatively low taxes, and an available labor force. The recreational opportunities are unlimited and include water sports, four golf courses, bicycling, snowboarding, skiing, snowmobiling, hunting, world-class fishing, horseback riding, and wildlife viewing. The landscape in Bonner County is a combination of towering mountains that range up into the 7,000-foot level and lush river-bottom valleys. The beautiful Selkirk Mountain range dominates the western side of the county and the sharp-peaked Cabinet Mountains border the County on the east. The County reaches across the entire width of Idaho’s panhandle between Montana and Washington, south to the Kootenai County line and north to Boundary County, the most northern county in the state. Another dominant feature in our County is water. The largest lake in Idaho, Lake Pend Oreille, lies in the center, and the more remote waters of Priest Lake lie in the northwest corner. Three major rivers traverse our County. Clark Fork drains into Lake Pend Oreille from the east, and the Pend Oreille River drains out of the lake on the west. This is the point that is crossed on the Long Bridge when entering Sandpoint from Highway 95 south. Priest River drains from Priest Lake and reaches the waters of the Pend Oreille River in the town or Priest River. A number of other creeks, rivers, and smaller lakes dot our landscape too. As for towns, they provide more services and entertainment than one would expect. Sandpoint, at about 6,000 people, is the largest city and serves as the County seat. This eclectic town, located right on Lake Pend Oreille, has a hospital, airport and a library as well as a theater, community theater, and two indoor shopping malls. A renowned regional destination resort, Schweitzer, is just 9 miles from Sandpoint and features 2,350 acres of skiable terrain. The second largest town, Priest River, lies on the western edge of the County along the shores of the Pend Oreille and Priest rivers. Other communities include Sagle, Cocolalla, Ponderay, Hope, Clark Fork and Priest Lake. Please take this opportunity to learn more about local government and services through this website. We invite you to come share in our lifestyle, whether as a visitor or resident!